His primary interest is to open new sound spaces that invite the audience on an inner voyage. Silence, quiet music, contemplative performance and delicate atmospheres are the paths of his exploration. Vilanova is also interested in sound installations and video works. His projects had been presented in festivals and exhibitions all over Europe and South America and he gave workshops and lectures in the principal universities of the countries he has visited. Chi-Hsia Lai（Lisa）studied percussion at the university, then she changed her major to New Media Art for a masters degree. She graduated from the Australian National University School of Music and Art and had been living in Australia and Europe for many years. She focuses on sound creation and performance and had been performed in Berlin, Helsinki, Holland, Sweden, Belgium, Japan, Portugal and Australia. In 2014, she was selected and invited to perform at the Tokyo Experimental Festival and awarded to an International Artists-In-Residence Program in Brugge, Belgium. Except artistic creation and performance, she also joined Electronic Sound and New Interfaces of Instrument -related academic activities and her papers have been selected and published in the international conferences, such as ACMC, SMC, NIME, ICMI. MUT means ‘dumb’ in Catalan language. The main idea of this solo is to mute the instrument in order to find a whole range of new sounds. By muting the instrument we are also muting the tradition, the heritage and the dichotomies between classical and jazz. With this technique, MUT creates a truly musical experience and a coherent discourse. The result is a completely electronic sound produced just by an acoustic instrument. The solo is a performance in itself: gesture, body expression and images play an essential role accompanying and supporting the sound. 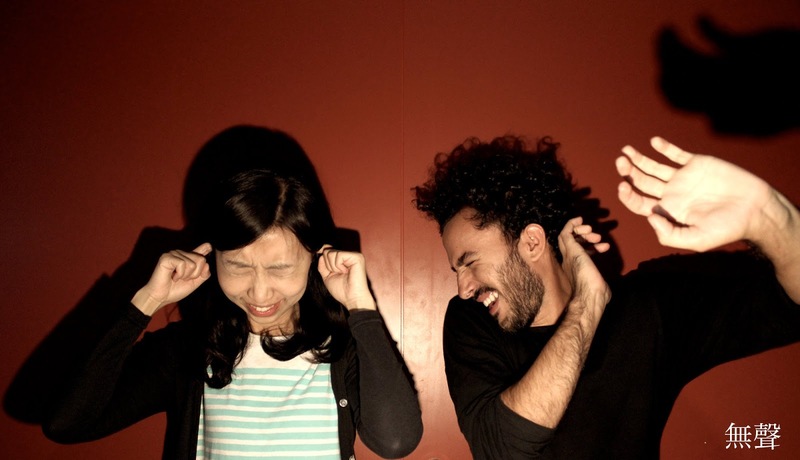 Spanish saxophonist Marc Vilanova and Taiwanese sound artist Chi-Hsia Lai are going to present a series of free improvisation combining with saxophone, percussion music, objects and live electronic music. The two artists will lead the audience on a journey of sound from the undersea world to suburban landscape.